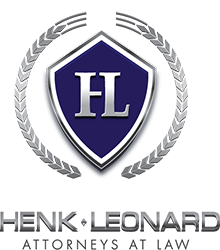 When you call Henk Leonard, you will typically be told that we need a chronology to be able to assess your case. A chronology is simply a detailed summary of your issues with a description of how events unfolded in the order they unfolded, etc. Below is an example of a short chronological summary. In addition, it would be beneficial if you could attach documents that you believe supports your claim. If you do not have access to a computer to create the chronology with attachments, you can of course drop both of them off at our office. I was hired by Acero Aerospace in May 1991 as a Rocket Scientist. I had no problems with the company until 2013 when I hurt my back skiing. I had surgery in May 2013 and was out for ten weeks. When I came back to work, I had restrictions from my doctor, Dr. Billings, who said I could only work 5 hours a day initially and over a period of three months, my work hours would be increased until I could work 8 hours again without restrictions. When I told my boss, Rick Ryder, this information, he told me not to come back to work until I am 100%. I told my boss that I would miss three months of work if I could not come back with restrictions. On August 1, 2013, my boss sent me an email that said if I do not go back to my doctor and get released from my restrictions immediately, I would be terminated. I could not get released without restrictions and was terminated on August 2, 2013.